Do you remember the good old days at Christmas, when Santa would visit your street bringing good cheer and chocolate? Well that was probably your local Rotary Club who helped Santa along his way! This Year Rotary in Manchester will be bringing that good cheer to the City Centre. 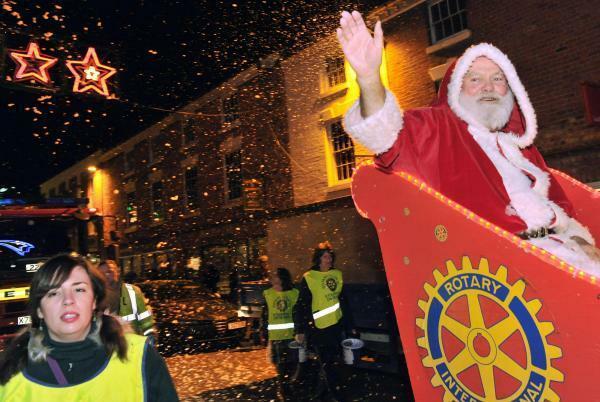 On 3 or 4 days throughout December Santa will be visit the City Centre, helped by the little elves from Rotary. He will be taking to the streets of the City Centre in his sled and would also like to visit office blocks and businesses throughout the Centre to bring a little bit of Rotary good cheer. If you would like Santa to visit your business or office, with the express permission of the office management, please get in touch with us ASAP.